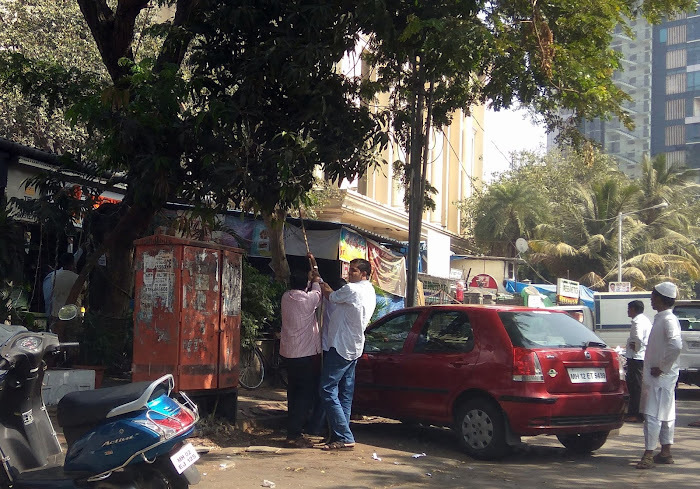 Pulling down a dead tree in Bandra east. Will be away till mid December. 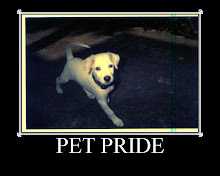 Till then have fun guys! Cheers! 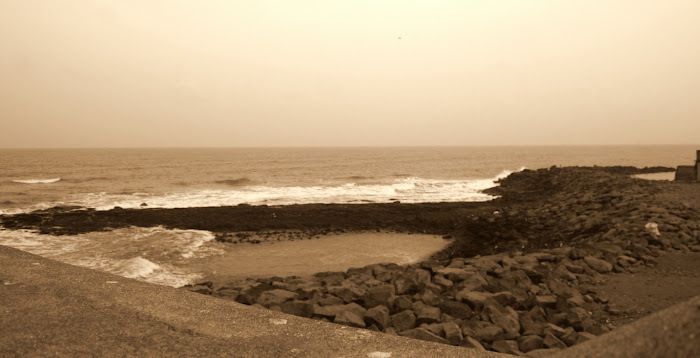 In deep contemplation at the Bandra fort. 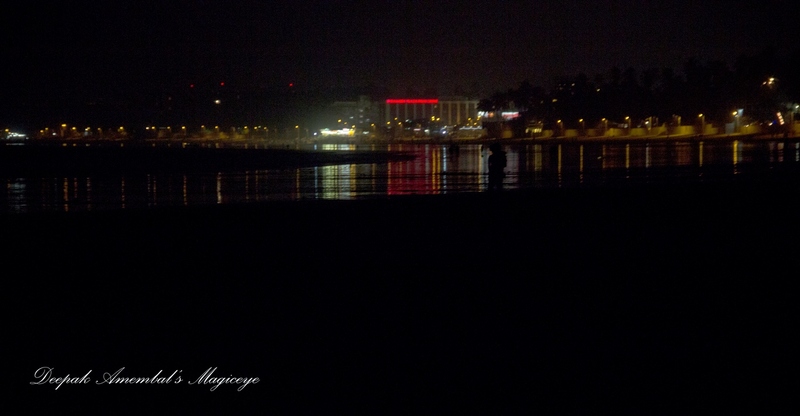 Juhu beach glitters at night. 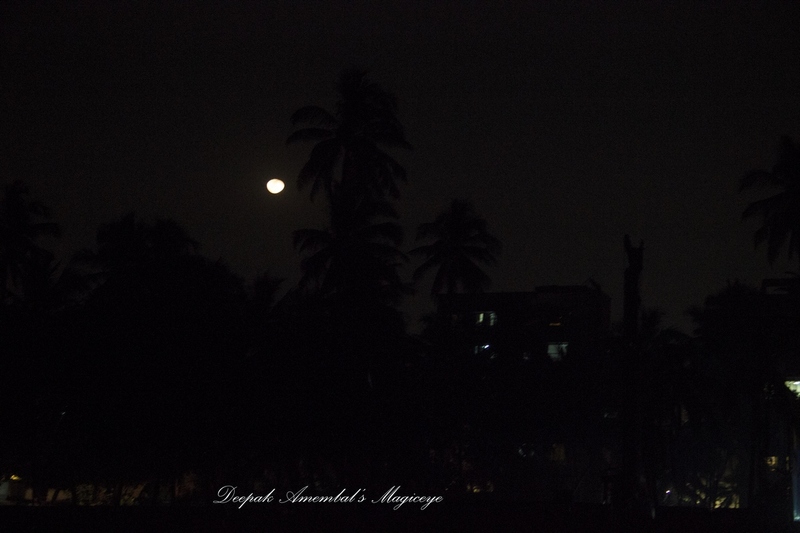 Last night at Juhu beach. 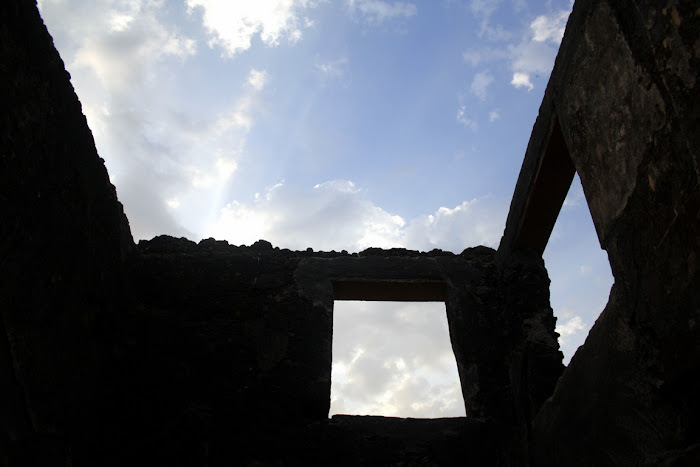 View from one of the roofless rooms in the ruins of Sion fort. 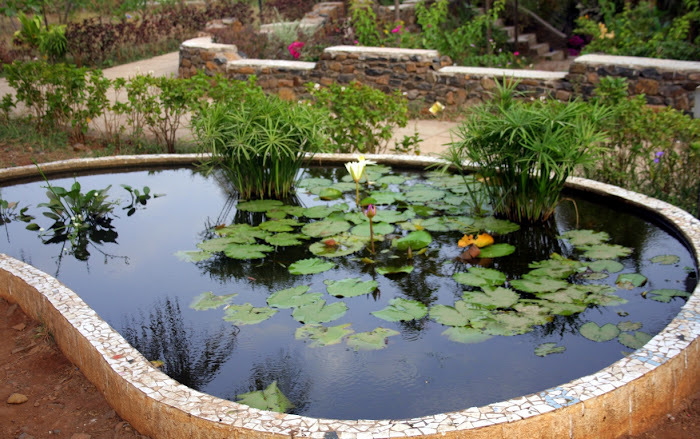 Lotus pond in Bandra fort. 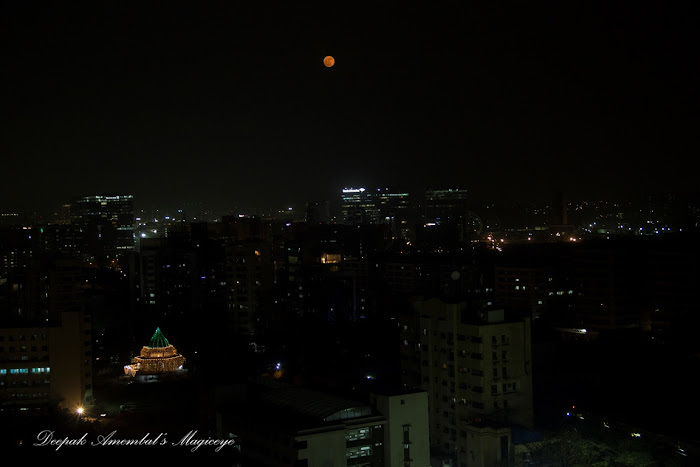 The supermoonrise over Mumbai last evening with the Gurudwara (Sikh's temple) at the bottomleft of the picture all lit up in celebration of Guru Nanak's (founder of Sikhism) birthday. The still standing embankments of Bandra Fort. 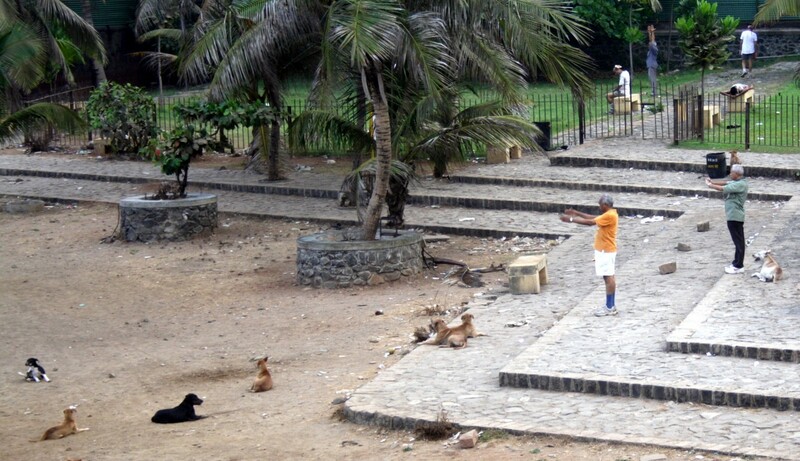 Children out on the ground playing cricket at the MIG Cricket Club grounds in Bandra east. A mini meet of autorickshaws in Bandra east. 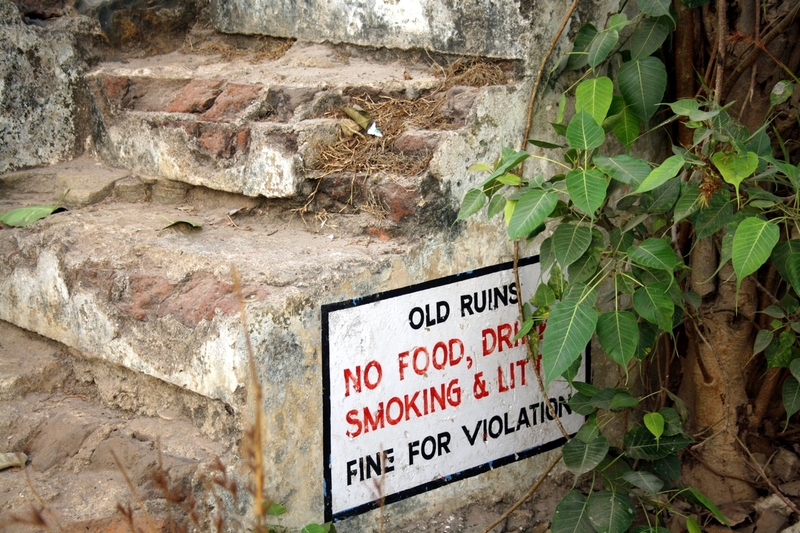 The message on the ruins of Bandra fort is clear! 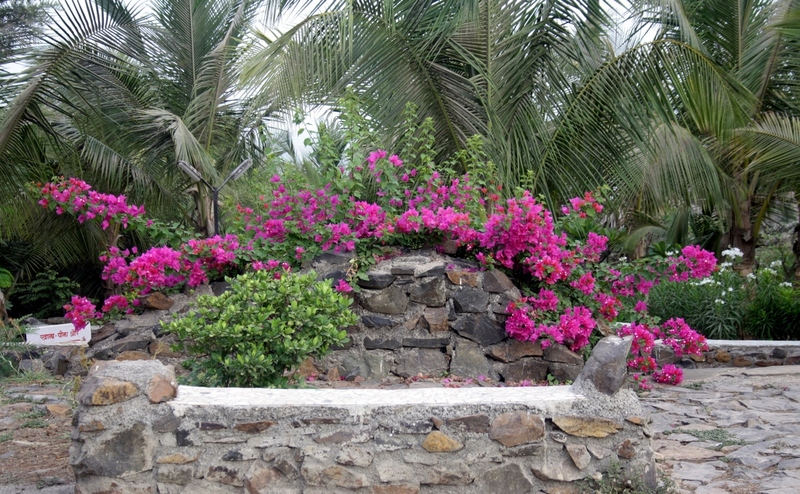 Joyous Bougainvillea blooming atop the Bandra fort. When you gotta go you gotta go! 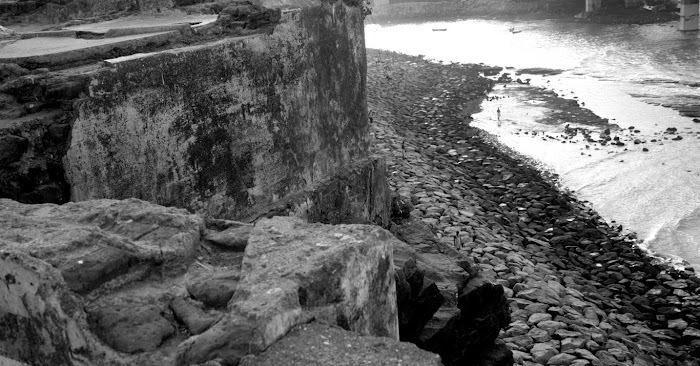 In the ruins of Bandra fort. 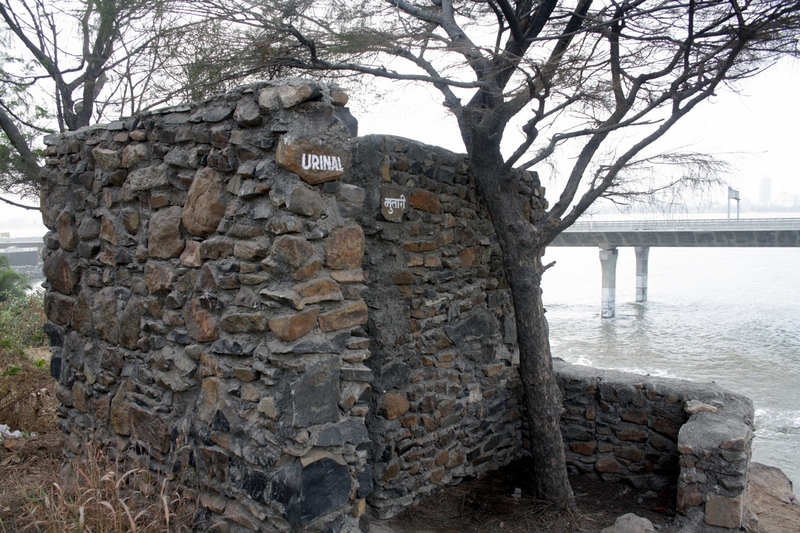 Security at the ruins of Bandra fort. 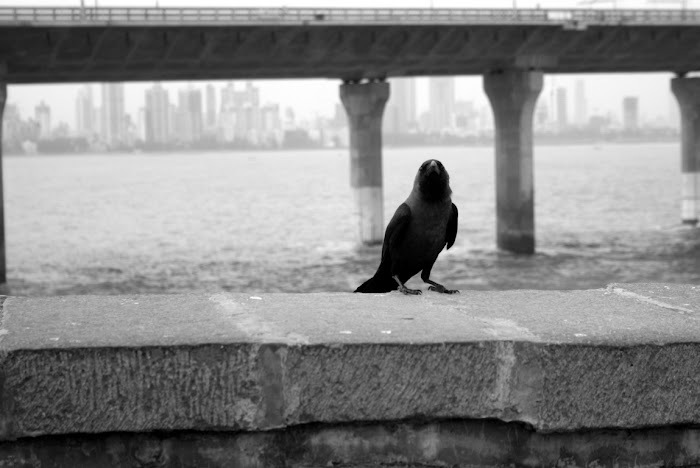 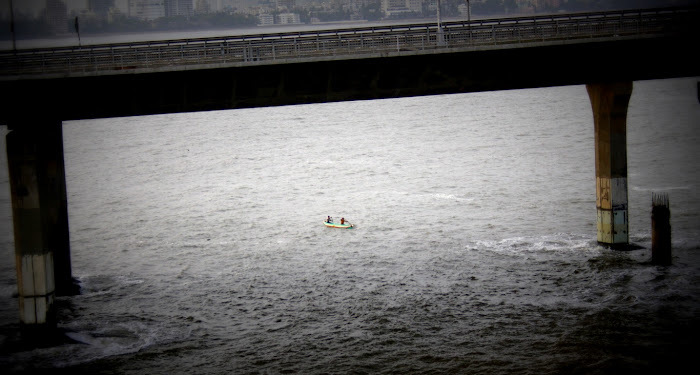 In the Arabian sea under the Bandra Worli sealink. A view from the Bandra fort through sepia tinged glasses. 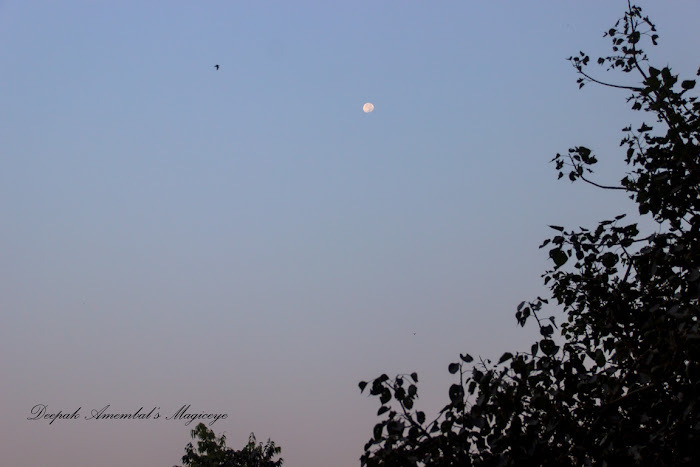 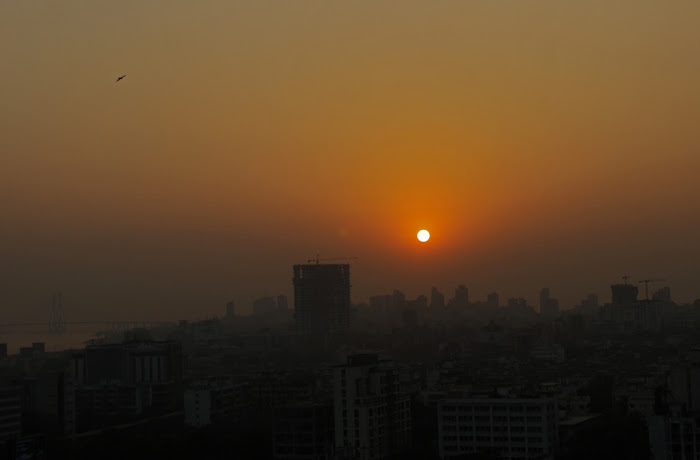 The Mumbai sky last evening with a few birds and a crescent moon. Doing stretching exercises in front of an attentive doggy audience outside the Bandra fort. 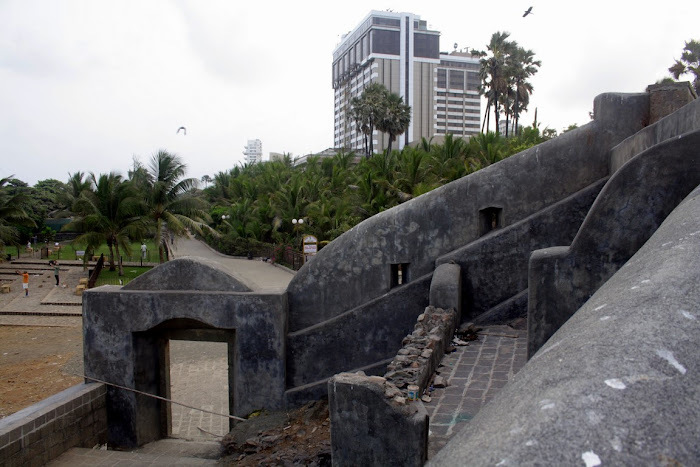 A view from inside the Bandra fort. 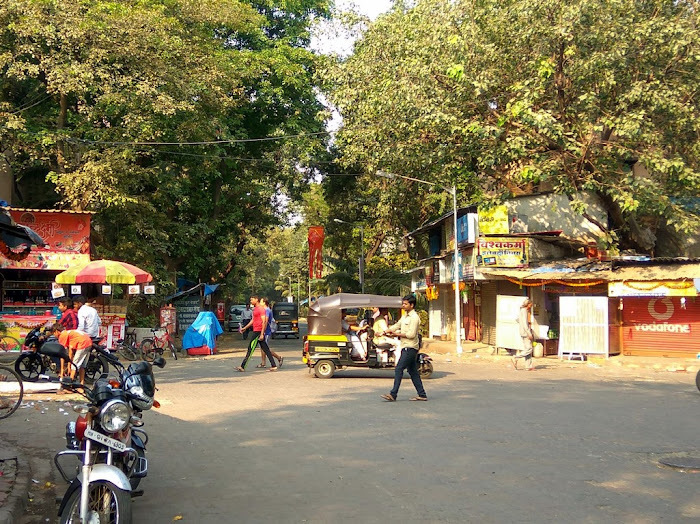 A relatively quiet morning after Diwali celebrations in Bandra east. Check out the huge lantern hanging between the trees.